It’s been a mega-weekend, but we’re stoked to announce that the new test kits are all here and in place. If you have any questions, please drop me an email (contact@clearchoicelabs.com.au). We also have a new range of standards, and our CYA, TA, CH, and pH kits all ship with standards so you can figure out whether the kits are telling you the correct thing. We have been in contact with those who have previously ordered kits to send them the upgrades on their kits (free of charge, of course) – if you haven’t received an email yet please let us know! Our new goal will be to upgrade the pH test kit comparator and include an OTO test for chlorine (easier for those who want to test on a daily basis). We’re hoping that this will be available before the end of the year. And, as previously, any upgrades we make to a kit will be applied retrospectively. No customer left behind! 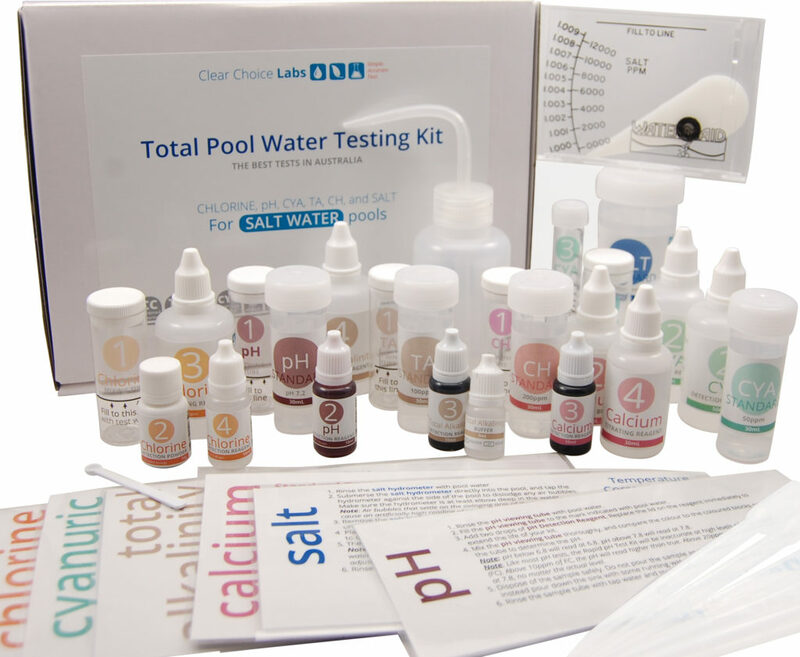 When will the “Total Pool Water Testing Kit, Salt Water” be available for purchase? Thanks for asking, the Salt Water kits need a new hydrometer and we’re currently testing one. We hope to have it ready to go in a few weeks. We’ll be making a big announcement all over the site when they’re available again! We’re having lots of questions about them and they’re our number one priority at the moment.